This photo-shoot is best suited for babies between 7 and 10 months, who can confidently sit up unsupported. Thank you so much for your interest in a Alma’s Home Studio sitters session. 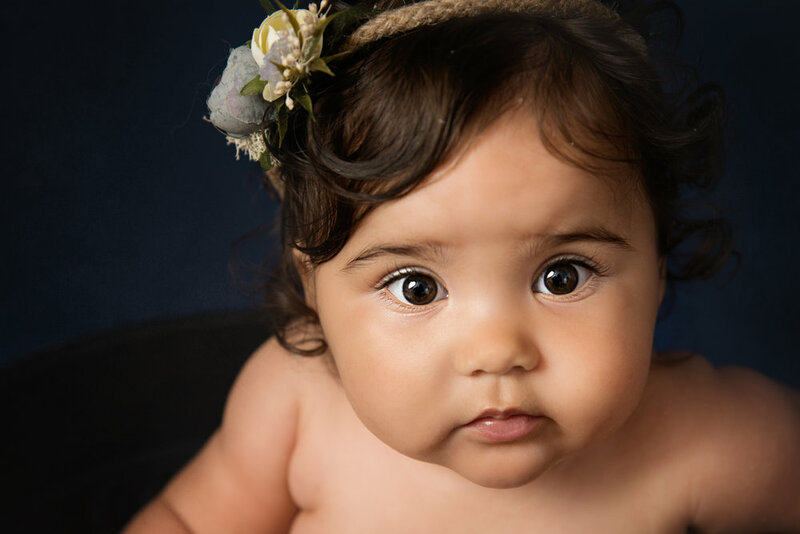 I look forward to capturing some beautiful, timeless and very special images of your baby. You will be invited back to my studio one to two weeks after your session to view your final gallery of approximately 15 beautifully enhanced and fully edited images. It’s at this point when you may decide which package you may want to purchase. £99 non refundable retainer required in order to secure your booking. This will be deducted from your final order. Sitter sessions are the best way to document babies milestone when sitting unaided, but cannot crawl just yet. Alma's Home studio, baby and newborn specialist.